Unfortunately, new record-breaking science has made at least as much noise as Trump. 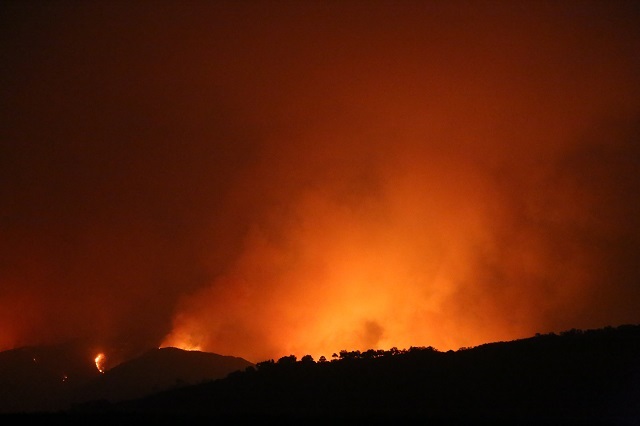 The Thomas Fire, viewed from Via Real, just east of Lambert Road and the Bella Vista Polo Club, in Summerland, California, on December 11, 2017. Photo by Doc Searls. Bruce Melton will discuss the latest in climate change, including material contained in this article, as Thorne Dreyer‘s guest on Rag Radio, Friday, Jan. 12, 2018, from 2-3 p.m. (CT) on KOOP 91.7-FM in Austin, and streamed live on the Internet. This article by longtime Rag Blog contributor and Rag Radio climate change analyst was first published at Truthout on Dec. 30, 2017. Scientists speak in terms of certainty — probabilistic, scientific certainty. A little warming doesn’t result in a little more extreme weather; it results in a lot more. Who is going to protect us from climate change? Donald Trump and his climate-science-denying administration certainly will not. They are repealing the Clean Power Plan, which contain the Environmental Protection Agency’s (EPA) landmark pollution rules designed to limit carbon dioxide emissions from large sources such as power plants. They reversed the Obama administration’s rejection of the Keystone XL pipeline. They shut down the EPA’s climate change website in April, and when it returned in July, it was half-missing. Trump also cancelled the Climate Action Plan, dropped climate change from the list of national security threats, and revoked Federal Emergency Management Agency flood risk standards accounting for sea level rise with federal infrastructure projects. The administration has abandoned the most important climate treaty in the world, the Paris Agreement, but they still wanted to sit at the table and develop the rules at the 23rd Conference of Parties (COP23) to the United Nations Convention on Climate Change recently held in Bonn, Germany. The U.S. delegation at COP23 asked Peabody Coal to explain how “clean coal” could slow climate change. They have reversed Obama’s ban on offshore oil exploration and are stonewalling rules for the first vehicle fuel economy standards implemented in 40 years (by Obama). Trump’s EPA director Scott Pruitt sued the agency four times when he was the Oklahoma attorney general to block the Clean Power Plan, and once against methane emissions rules. Trump has scrubbed increased methane and volatile organic carbon reporting standards that began under Obama. Trump also appointed ExxonMobil CEO Rex Tillerson as secretary of state. Hurricane Harvey brought record setting rainfall to Texas between August 23 and 28. The most recorded rainfall was 50 inches, but more than 24 inches was recorded over more than 15,000 square miles, which is 30 times greater than the previous records. Lawrence Berkeley National Laboratory has done some advanced modeling and found that “human induced climate change likely increased the chances of … Hurricane Harvey in the affected areas of Houston by a factor of at least 3.5 [350 percent].” The best estimate of how much Harvey would have rained in our old climate was 36 inches, not the 50 inches recorded — a 38 percent increase because of climate change. There are some challenges with this Berkeley work. One is that the authors compared total storm rainfall from Harvey to record events from 1950 to 2017. This means the researchers compared Harvey to the recent past, when increases in extreme rainfall have already occurred. What this means is that big storms have increased even more than if, say, the researchers had compared today to the period 1930 to 1950. It’s nuanced, but it’s meaningful. Houston rainfall has increased a lot since 1950. John Nielsen-Gammon, who is Texas state climatologist, says that extreme flooding has doubled in Houston during the last 30 years. Nielsen-Gammon compares the last 30 years to the previous 30 years. But extremes really didn’t start becoming so much more extreme until, at the most, 10 years ago. Widespread reporting said that Harvey was a 1-in-1,000-year flood event (a 1,000-year storm is a storm that happens on average every 1,000 years) based on rates of rainfall. A meteorological engineering company called MetStat specializes in these types of extreme rainfall frequency analyses and analyzed the entire storm. It found that across the 15,000 square miles of southeast Texas that received greater than 24 inches of rain, making Harvey a 25,000-year storm. 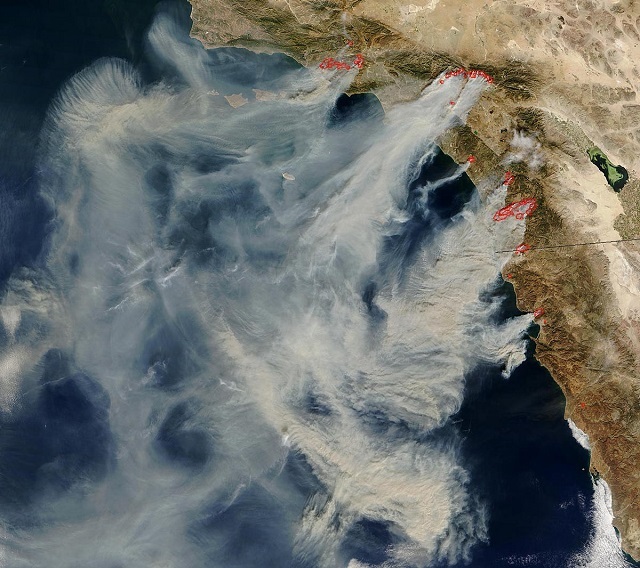 Southern California Wildfires, October 25, 2017. 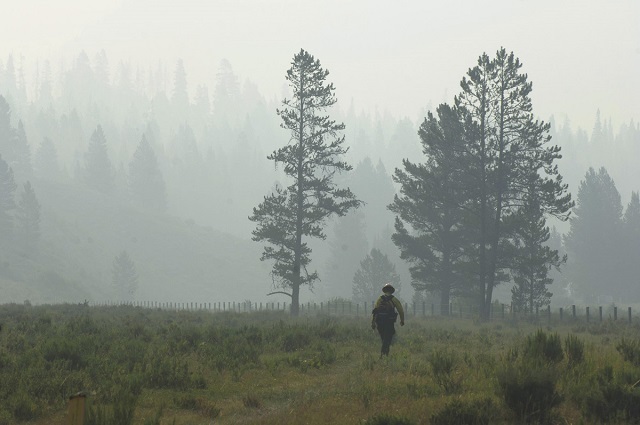 Record drought, record rains, record fires: It’s the extremes that matter in any climate. We can tell that these new California fire extremes do not belong in our old climate because of the record nature of their size and impacts. There have been almost 10,000 structures destroyed with 40 deaths in the California fires, according to Calfire.gov. This is more than twice as many structures burned and lives lost as in the previous record outbreak. Furthermore, December is the rainy season in California. The National Oceanic and Atmospheric Administration (NOAA) says that the period of 2011 through 2015 in California was the driest four consecutive years since record-keeping began. The California Department of Water Resources said that average rainfall across California in the water year of September 2016 through August 2017, was the wettest water year in half of California and second wettest in the other half. What is causing all of this? Why are all these extremes happening? 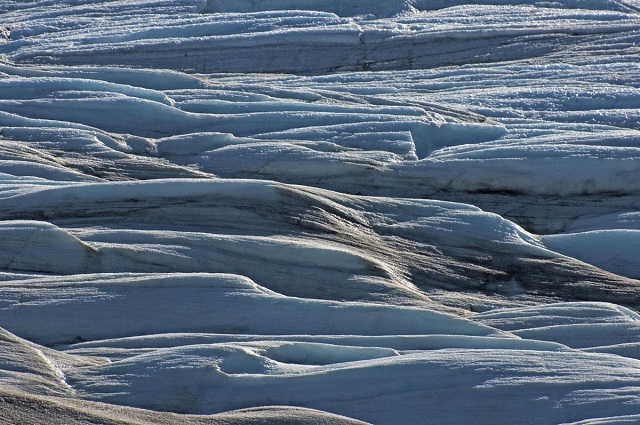 One of the reasons is “Arctic amplification.” As the Arctic warms, more snow melts. When snow melts, earth, plants, rock, and water absorb up to 90 percent of the sun’s rays and turn them into heat. Ice and snow reflect up to 90 percent of the sun’s energy harmlessly back into space, so decreased ice and snow cover due to rising temperatures in the Arctic only accelerate climate change. This Arctic amplification affects the way the jet stream behaves. It makes the jet stream loops larger and move more slowly west to east. Because the jet stream pushes (or pulls) weather systems west to east around the planet, the slower west-east movement allows weather systems to stall out, and this increases impacts. Rainfall events “train” over the same area increasing flooding; droughts are longer. The lead scientist who developed the famous “hockey stick” temperature graph (which shows little change in temperature for thousands of years in the past, until the last 100 years) has released some new research looking at Arctic amplification that corroborates previous studies that show warming messes with the jet stream. This new work makes the science even more clear that global warming increases weather extremes. Lava Mountain Fire, Teton National Forest. The National Climate Assessment says extreme precipitation has increased in intensity and frequency over most of the U.S., with the Northeast leading the way. Importantly, clusters of extreme warm season thunderstorms are more numerous and deliver greater amounts of rainfall. Extremes and rainfall totals are expected to continue to increase. Extreme weather events have already increased to dangerous levels because we have delayed climate action for nearly 30 years. Further warming increases extremes nonlinearly. In other words, a little more warming creates a lot more extremes. James Hansen, the 32-year director of the U.S. government’s climate modeling agency, the Goddard Institute for Space Studies, reveals the quantity of negative emissions required to meet a 350 parts per million (ppm) CO2 goal of about 1 degree Celsius warming by 2100, where the temperature rise mid-century — before it begins to fall — is less than 1.5 degrees Celsius. To do this, Hansen says that we must use strategies to reduce already emitted carbon dioxide that remains in our sky, whether it is through plants, forests, agricultural techniques, or removing CO2 directly from the air. The quantity of negative emissions required is between 7 and 32 gigatons of carbon dioxide annually through 2100, depending on whether our emissions reductions rate is zero (where emissions stay the same as today) or 6 percent per year, which is about double the Paris Accord. Today, we emit about 40 gigatons of carbon dioxide every year. Unless we reduce already observed warming with negative emissions, we can expect these unanticipated changes that the National Academy of Sciences note in the National Climate Assessment. What the Fourth National Climate Assessment reports is unfortunately predictable: Climate change is worse than it was supposed to be because we have delayed action and previous projections have turned out to be understated. According to the report, the likely human contribution to warming is 92-123 percent of the observed climate warming from 1951-2010. In other words, humans have caused more warming than has been measured. This is possible because global cooling pollutants (sulfates or smog) from burning fossil fuels have masked warming that should have occurred. This masking happens because smog reflects sunlight harmlessly back into space without warming Earth. There is significant potential for humanity’s effect on the planet to result in unanticipated surprises and a broad consensus that the further and faster the Earth system is pushed towards warming, the greater the risk of such surprises. There are at least two types of potential surprises: compound events, where multiple extreme climate events occur simultaneously or sequentially (creating greater overall impact), and critical threshold or tipping point events, where some threshold is crossed in the climate system). The probability of such surprises — some of which may be abrupt and/or irreversible increases as the influence of human activities on the climate system increases. Three record setting droughts in 2005, 2010 and 2016, each more extreme than the previous, have flipped the Amazon from a carbon sink to a carbon source. Photo by Bruce Melton. Unanticipated surprises are already underway. Three 100-year-plus droughts in the Amazon in 12 years have taken their toll. 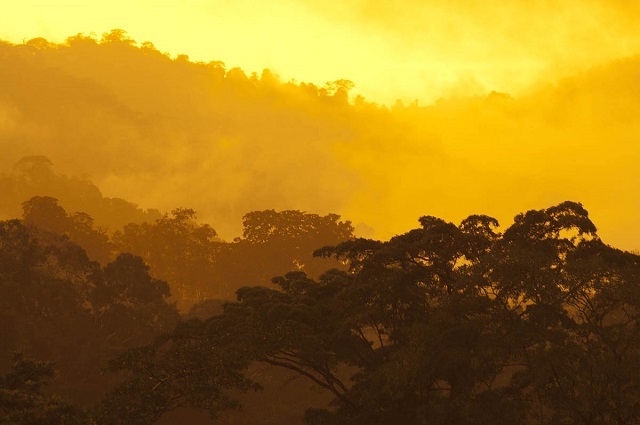 Along with continual human-created ecological compromise and climate warming, fires and forest mortality from drought have overwhelmed the capacity of the Amazon to absorb carbon dioxide. The NOAA’s new sea level rise report has revealed some truly meaningful realities of future impacts. With just a nine-inch rise in sea level projected by 2030, NOAA advisories for coastal flooding capable of causing “significant risks to life and property” could occur 25 times more often. This is very significant sounding on its own, but what exactly does it mean? According to the report, flooding that we would expect to happen on average every five years (three feet) will happen every two months. This means that what would previously have been categorized as 100-year floods (13 feet) will be expected to happen every four years. And remember, this is with just nine inches of sea level rise and it is projected to happen by 2030. Here again, Earth systems cause the increases to be exponential. In other words, a little bit of rise creates a very large amount of impact. It’s not the average that is important, it is the extremes. The Union of Concerned Scientists (UCS) goes further with NOAA’s new projections. Their new report, based on NOAA’s work, defines the increase of chronic flooding of 25 times greater than today, as an amount of flooding that causes “resources abandonment.” This is the point that people begin to simply walk away from their homes and businesses. The UCS says this will happen to nearly 170 coastal U.S. communities within 12 years, and under the worst-case scenario, in about 670 coastal U.S. communities by the end of the century. Wind scoured blue ice in Greenland: Katabatic winds, or gravity-driven monster winds up to 150 mph sustained, can literally blow the ice away. Just off screen, a nuntak, or mountain island in the ice sheet, deflects winds in this area to create ice scour that reveals ancient blue ice. Where do these nine inches of sea level rise come from? The Intergovernmental Panel on Climate Change (IPCC) says two feet by 2100. The IPCC though, does not include abrupt sea level rise from ice sheet collapse. The latest research on ice sheet collapse from Australia shows 52 feet of sea level rise occurred in 400 years, 14,500 years ago with ocean conditions similar to today. We were coming out of the last ice age then, but then, the increasing rate of warming was far less than today. Our climate’s most meaningful and common temperature changes are classified as abrupt changes in climate science. Twenty-three of them occurred in our last 100,000-year-long ice age. They mostly happened with global temperature change of 9 to 15 degrees Fahrenheit and 25 degrees Fahrenheit or more in Greenland. The biggest was caused by melt from the massive Laurentide ice sheet that covered the northern half of North America at the end of the last ice age, beginning about 18,000 years ago. The ice was a mile deep over what is now New York City, with an epicenter two miles high over Hudson Bay. The melt formed a giant lake over south-central Canada. About 14,600 years ago, it became so large that it broke through the lobe of ice that carved out the Great Lakes, and its outflow changed from the Mississippi River Basin to the St. Laurence, and then to the North Atlantic via New Newfoundland. The massive influx of freshwater melt, being lighter than salt water, floated on the North Atlantic and shut down the Gulf Stream. This stopped the northward flow of warm water from the South Atlantic and plummeted our planet back into deep ice age cold. But under-ice melt continued. Some research says that parts of Greenland ice sheet and Antarctica collapsed and raised sea level 65 feet in as little as 200 years. 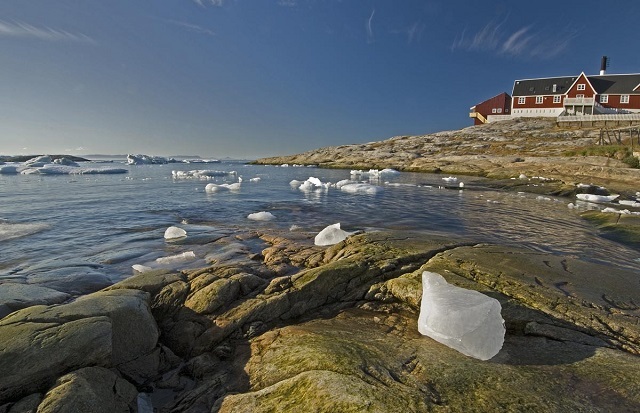 Iceberg remnants from the Greenland Ice Sheet and the Ilulissat Hospital, west coast of Greenland. Today, Greenland melt has created a massive pool of buoyant fresh melt water in the North Atlantic east of Newfoundland. The pool has reduced flow in the Gulf Stream 40 percent since the mid-2000s. They found this area lost 2,000 feet in elevation during the abrupt cold reversal 18,000 years ago. Their unexpected results reveal that the return of glacial temperatures cooled surface waters, but not deeper waters, which remained warm, melting the underside of the ice. Today, we see the same cool surface/warm deep setup. The trigger 18,000 years ago was the melting of the Laurentide ice sheet. Today, it’s the West Antarctic ice sheet. Both were/are marine ice sheets, inherently unstable because their ice is grounded on the ocean floor thousands of feet below sea level. The bottom line is that climate change, because of delayed action, is happening faster and more extremely than projected. Before Trump, the best-case scenario of emissions reductions allowed for significantly more than 2 degrees Celsius of warming. With dangerously extreme weather happening more and more frequently, and with abrupt changes plausibly already begun, now is not the time to be backpedaling climate policy. Climate scientists warned us that our task would be more difficult the longer we delayed. The difficulty has now arrived and even further delay is real. The great risk is that a little more warming will not create a small increase in additional extremes. It is entirely plausible that a little more warming will cross thresholds and create nonlinearly more extreme events that are literally unrecoverable, if we do not reduce warming sooner rather than later. This entry was posted in RagBlog and tagged Bruce Melton, California Fires, Climate Change, Climate Science, Global Warming, Hurricane Harvey, Rag Bloggers, Truthout. Bookmark the permalink. Climate change is nothing, compared to the aging old, crummy reactors on the coasts of murica. Bay city almost went off, with Harvey. Very Cruz and Sanalouis are on some of the most active faults , in the world.